﻿ Anahita Golf & Spa Resort Mauritius Pulau Mauritius. JIMAT di Agoda.com! Ada soalan mengenai Anahita Golf & Spa Resort Mauritius? Terletak di tengah-tengah Ile aux Cerfs Lagoon, Anahita Golf & Spa Resort Mauritius merupakan tempat yang sesuai untuk meneroka Pulau Mauritius. Dari sini, tetamu boleh menikmati semua kemudahan yang bandar ini tawarkan. Dengan lokasi yang mudah, hotel ini memberikan akses mudah ke tempat yang anda perlu lawati di bandar. Ambil kesempatan daripada pelbagai perkhidmatan dan kemudahan yang tiada tandingan di hotel Pulau Mauritius. Fasiliti utama di penginapan juga termasuk khidmat bilik 24 jam, Wi-Fi percuma semua bilik, meja depan 24 jam, Wi-Fi di tempat awam, letak kereta berjoki. Semua penginapan bagi tetamu menawarkan kemudahan yang difikirkan dengan teliti bagi memastikan rasa selesa yang sukar ditandingi. Hotel ini menawarkan pelbagai kemudahan rekreasi yang sangat baik, termasuk sewa peralatan sukan air, luncur angin, selam snorkel, pantai peribadi, pusat kecergasan. Apabila anda mencari penginapan yang selesa dan mudah di Pulau Mauritius, ijadikan Anahita Golf & Spa Resort Mauritius sebagai rumah anda seperti berada di rumah sebenar. -Breakfast and dinner can be improved. -Presence of Lizard inside the room was very bad. I brought my parents to Anahita for CNY holiday. We stayed at the two bedroom suites. and my parents enjoyed so much about Anahita. The staffs are so amicable! And the half board set are so worthwhile. Everything so perfect in the paradise island if you stay with Anahita. 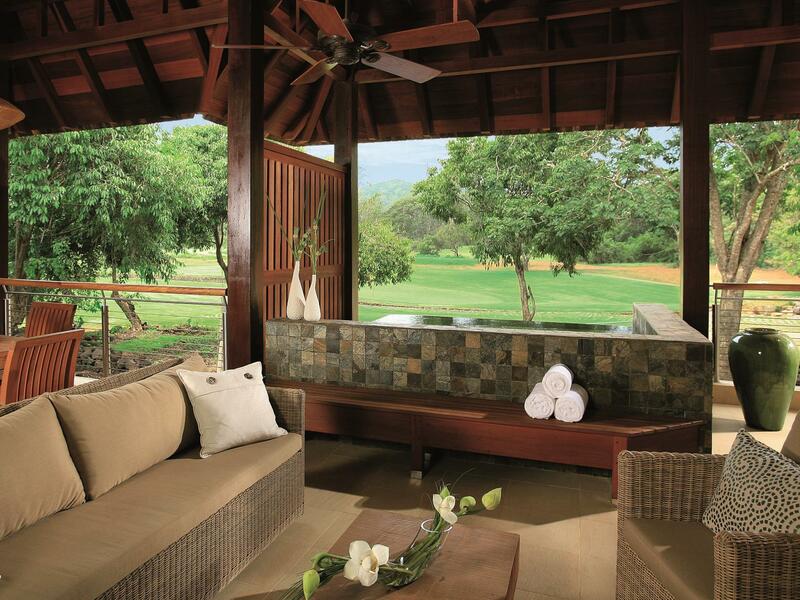 Anahita is heaven for golfers and foodies. A beautiful hotel, fantastic facilities and lovely location. I would recommend this property to families, golf addicts, water enthusiasts, families with kids older or younger. You will not regret coming back again to anahita resort and spa. Every thing is almost perfect and meet your expectations. The staff is very seriuos to hear your feedback and hear any thing diturbs you. This resort shared the golf club with Four Seasons Hotel which is great for golf lover. We tried the free initiation course and several water sports. It is windy and cold for water sports in June. it's worthwhile staying in there. Anahita shares the private beach at le aux Cerfs Island and golf course with four season, really very nice, various selections of activities suitable for adults and children, we have had a great time here, high price but worth it. 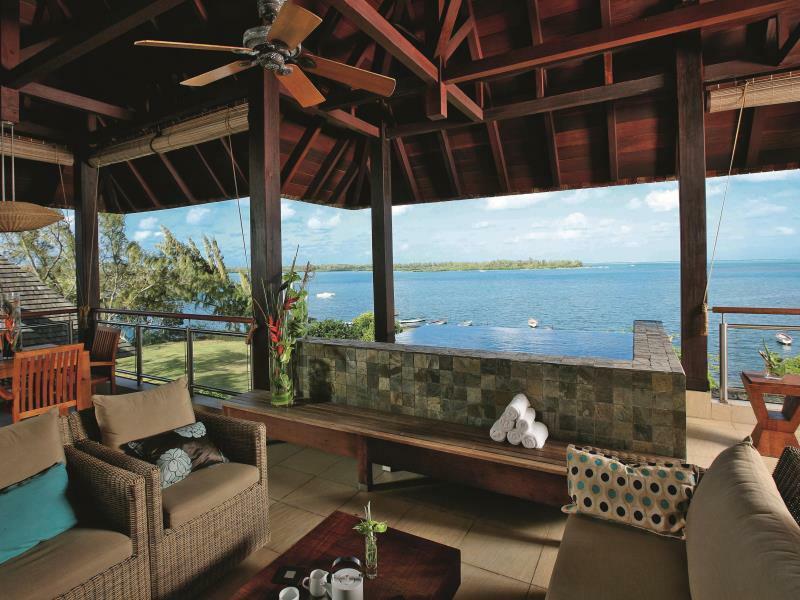 Anahita The Resort, along with Four Seasons hotel is one of the best hotels in Mauritius. The Golf course is excellent. The room is also spacious and a housekeeper is waiting for help all the time. 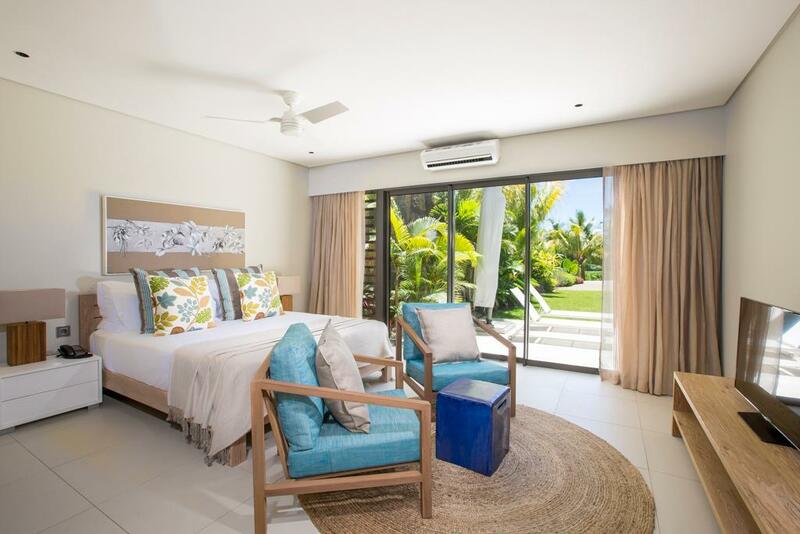 Price is high compared to other hotels along the east coast of Mauritius. Golf was fantastic. 2 world class courses. Regular boat transport to ill au cerf island to private beach and le toussrok golf course. Breakfast and dinner included but u have to pay hugely inflated prices for drinks including water which was very rude from our perspective. The service is good but a little over the top. Waiters seem to stand over u the whole time waiting for u to finish or top up your glass. Not much privacy when u are trying to have a quiet meal. price is too high. Generally the experience not deserve the price. the last night of our exploration of mauritius was spent at this hotel. with hind sight, not somewere we would rush back to. 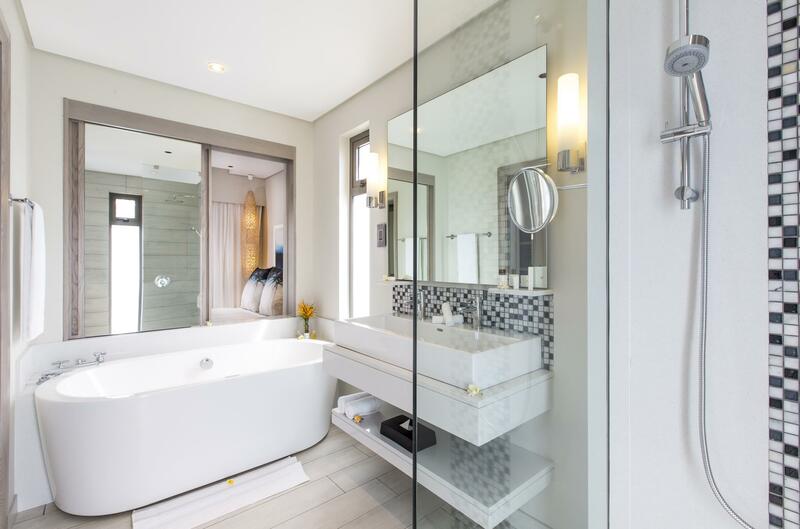 i refer to it as a resort but as we quickly realised after checking in, this is a development of privately owned homes and/or time share apartments/villas. albeit an attractive and nicely laid out development we felt like we were the only people staying there and, as a consequence, found it rather a strange experience. everywhere we walked the staff seemed to know our name. anyone familiar with the old british tv series 'the prisoner' will know what i am referring to - seemingly perfect surroundings but....completely soul less and rather creepy. the actual apartment was huge and very nicely furnished but...one bedroom was locked because we were only a couple! a long walk to the facilities although you could 'call' for a staff member and golf cart to collect you. very few people seen out and about until the evening meal where the restaurant was about half full. we were under the impression that a lot of our fellow diners were probably owners of the nearby villas rather than genuine tourists. the bar area next to the water was very relaxing and nicely laid out but again....virtually empty. the swimming pool was busy the next morning but this turned out to be a birthday party for the children of some expats working on the island from what the staff told us! not somewhere i would recommend. The hotel was large and nice but there is limited nightlife and entertainment. We had to go to near by hotels to experience some night life. Apart from that it was great.